It was in 2001 that I first learned about The Four-R’s in reading the Bible. The method grabbed my heart even though I regularly read the Bible. My husband and I decided not only to use this method for our daily devotion but also to teach this to our children. More than the method, our goal was to develop a habit of daily devotion in our children. Mornings were busy as usual with getting children ready for school and both of us leaving around 7:15 am to the seminary where we teach. However we adapted our routine. 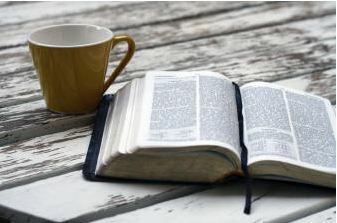 Four of us read the Bible at the same time around our dining table along with our morning tea. We would wait for our children to wake up to read the Bible. Our son who was 8 years began with Genesis 1 and our daughter who was 6 years began with Psalm 1. We asked them read a chapter a day and to write a verse from the chapter in their dairy. As they grow older we were able to witness how they respond to God through their devotion. Through the years we enjoyed the fellowship of reading the Bible at the same time. Now 12 years have passed. Even though we do not read around the dining table anymore, devotion has become part of our day. Both of our children have read the complete Bible at least once. Hopefully my son, who is now separated by continents, daily reads his Bible. Every morning I see my daughter engaging in this practice. Our children and us together have made reading the Bible and responding to God our family’s genetic code. I got the opportunity to teach the Four-R’s to many others. Why do I do this? The simple answer is that I just want to pass onto others a practice that blessed my family. This has helped us to grow in our relationship not only with God but also with each other and others. Ready: Prepare your mind to hear from God. Find a quiet place and time. Read and Reflect: Read slowly and reflect on what God is talking about you and about him. Respond: Based on what God has spoken to you, respond appropriately. Record: Record your response in a book noting the date and the reference. Recently I am learning to end my devotion by Resting for few minutes in God’s love. I encourage you to develop the habit of daily devotion. If there are others whom you care for like your siblings, spouse, children, friends, encourage them as well in this practice. The Four-R’s does not have any magic in it. The key is to daily set apart a time to read and quieting yourself to listen and respond. In 15 to 30 minutes you may practice six spiritual disciplines: Prayer, reading, silence, listening, meditation, and journaling. I am often reminded of what Isaiah wrote, “He wakens me morning by morning, wakens my ear to listen like one being instructed” Isa 50:4. Thanks for sharing this. I would like to do the same as a family. This is powerful. I remember you telling us about this a few years ago. Its a wonderful habit to cultivate for the whole family…maybe we'll start this in a couple of years' time…when Aman is old enough to sit at the table without fidgeting!! 🙂 My husband makes sure that Sneha reads her Bible every morning. Disciplines and Traditions. Two very beneficial things. Thanks for sharing this journey.